Welcome to Pho Saigon Basil! We are a premier Vietnamese and Asian restaurant offering fresh, healthy and tasty cuisine that is as appetizing and enjoyable as it is satisfying and affordable. Pho Saigon Basil is located in the heart of Belmar, making it an easily accessible location perfect for any dining experience. 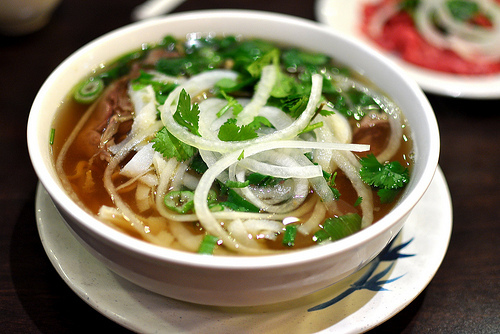 While we specialize in providing our guests with a wide variety of delicious pho options, we also offer a number of other delectable menu items that are sure to wow meat-lovers, seafood lovers and vegetarians alike. At Pho Saigon Basil, we take tremendous pride in putting our guests’ tastes and needs first, which is why each of our mouth-watering dishes is made from scratch and is made to order. Our goal is to make sure each of our guests has an excellent dining experience with us so that they will keep coming back and become part of the Pho Saigon Basil family! Let us host your next date, business meeting, or family occasion. We look forward to seeing and serving you at Pho Saigon Basil!